I modified this recipe from one I absolutely love on Allrecipes to make it grain-free, as well as a little healthier. After snickerdoodles, these are my favorite cookies. They’re sort of cakey; like a cross between a cookie and a cake, in the most delicious way. And you MUST do the icing—it makes them. 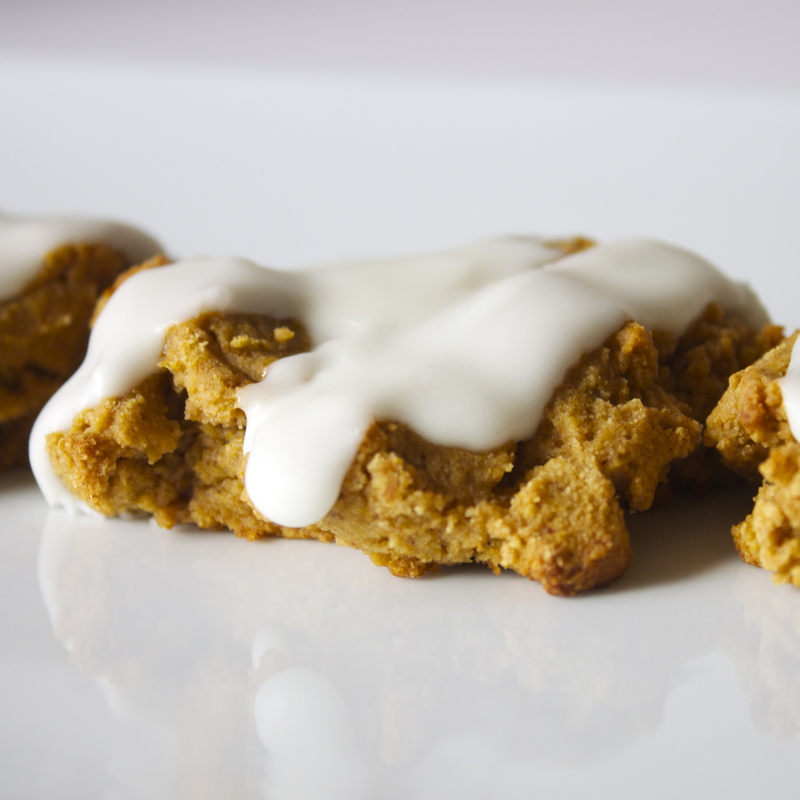 If you’re a pumpkin fan, you will love these. In a large mixing bowl, stir together flours, baking powder, cinnamon, cloves, nutmeg, and salt. Set aside. In another mixing bowl, cream together mashed banana, 1 cup of sugar, butter, and pumpkin. Mix in vanilla, and egg. 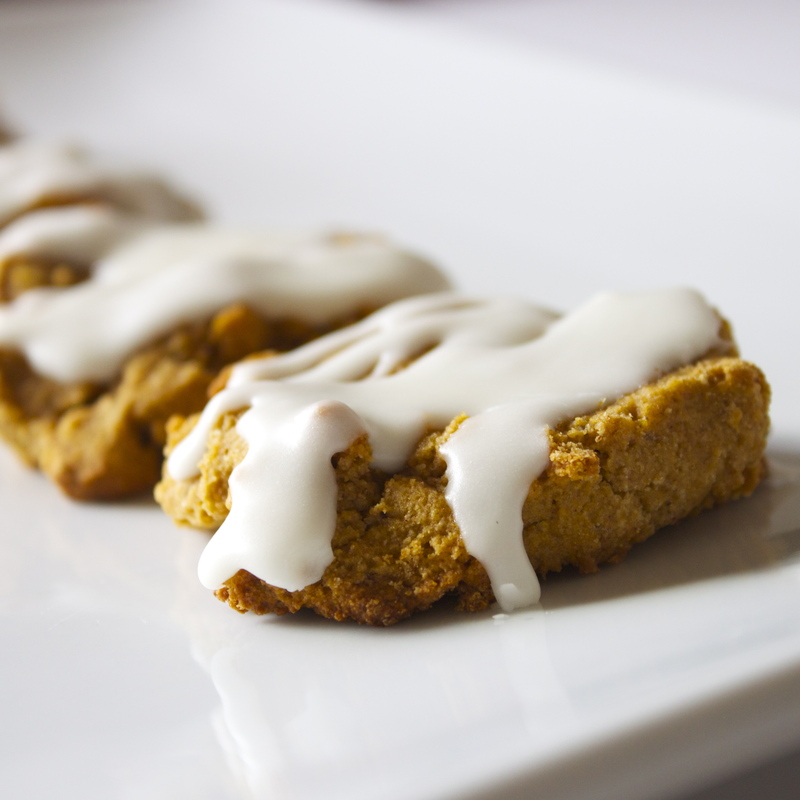 Spoon dollops of dough onto a cookie sheet lined with parchment paper. Flatten dough a little. Bake until cooked through, 15 to 20 minutes. Place on cooling rack. To make icing, stir together melted butter and confectioner’s sugar, then add milk until it’s a good drizzling consistency. Store on a plate with a piece of plastic wrap loosely placed on top—these need a little air to keep the icing in tip-top shape. Need even more pumpkin in your life? 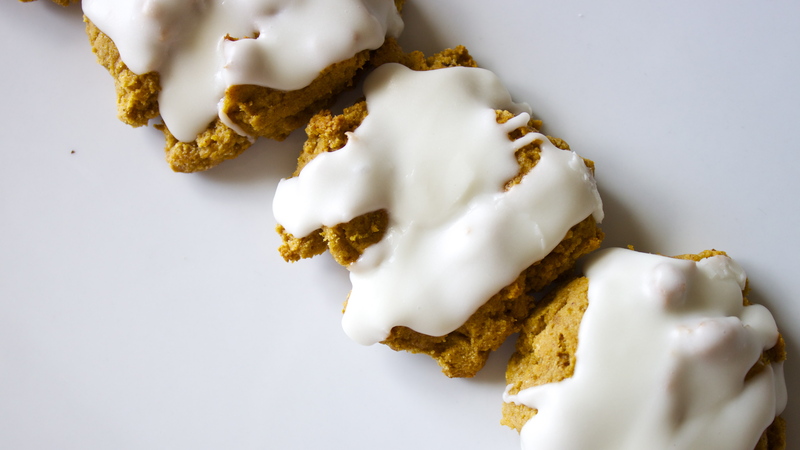 Try these Grain-Free Pumpkin Pancakes. Do you think a gluten free flour mix like Pamela’s would work in place of the coconut and tapioca flour? I’m not concerned about grain free just gluten free. Thank you! Hi Natalie! Yes, I do think that would work, but I’m not sure what the texture would end up being like. 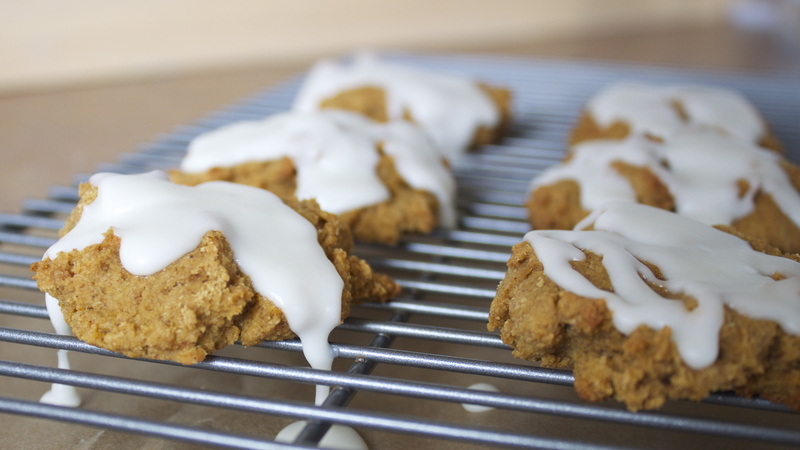 The reason I use tapioca flour is because it makes the cookies springy and chewy–I find that when I don’t use at least a little bit, baked goods can end up a little mealy and crumbly. That said, I’ve never used Pamela’s–I know there are some great mixes out there that work great, so I say give it a shot and go from there! You might add a little tapioca flour on a second try and work out your own perfect mix! Good luck! Thank you!! Yes, they are SO one of my faves! Yep, any type of milk should work great. Hope you like them!